My name is Stephanie. I wish to meet you someday just to fulfill my wish when I was 13 years old. This is an intro to my DEAR ORLANDO BLOOM series. He's a technophobe, but if this series gets to him, that would be awesome. And yes, I'll attach our videos together to every post, so that he'll get to see it wherever or whatever. LOLOLOL. I know you'll accomplish whatever you set your mind to! awwww glentot why are you so motivating? haha! kawawa naman si orlando. as a friend lang? tsk. lol. 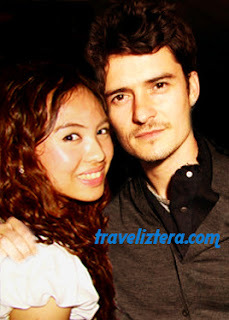 Orlando Bloom reminds me of that girl sa Lord of the Rings ... Oh, wait, I think that was him. LOL. Haha, ultimate crush ko din si orlando bloom, in fact, pag iipunan ko s'ya hahaha!.. hehe. head over heels tlga ang pagkagusto sau ni orlando. ayaw niang sumuko.